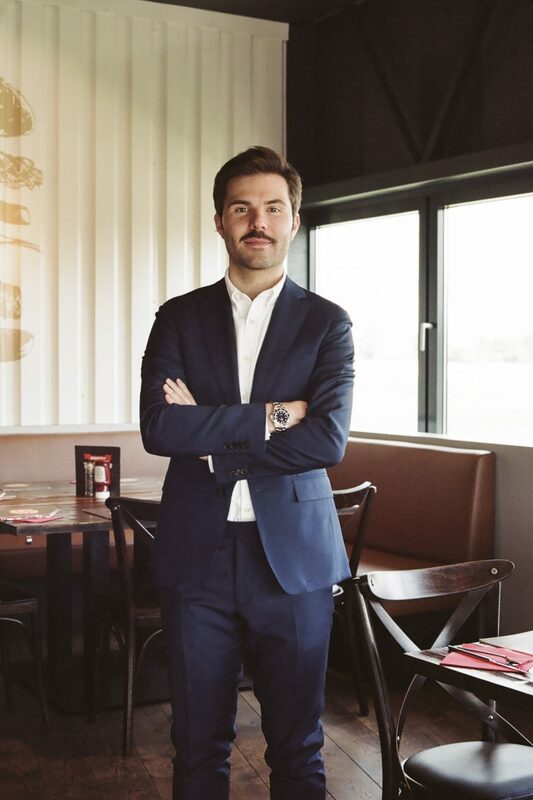 As a kid, my dream and passion were to own my restaurant, so I studied management at HEC Liège. Today, I’m the cofounder and CEO of The Huggy’s Bar, a gourmet burger restaurant franchise. The Huggy’s Bar allows me to mix my management skills with my dream job. I’m so proud when I see everything we’ve achieved so far with The Huggy’s Bar. Many are happy to work and develop with us within a nice atmosphere, and we get to make so many customers happy every day. It feels great when you realise that all your hard work has contributed to this. We’re different, that’s for sure! I’d say that we’re a well-balanced mix of the qualities of our surrounding countries, and that we have a big heart. If you had to nominate three people that, to you, best symbolised Belgium in its full glory, who would they be? Jean-Claude Van Damme, Eddy Merckx and Benoît Poelvoorde. I like to try and discover new flavours and recipes, but my all-time favourite will always be a perfect homemade mayonnaise. When we launched The Huggy’s Bar, we were looking for quality sauces as we wanted something different and better than what you can find everywhere. We came across this young Belgian brand with funny marketing and liked its qualitative and innovative approach to sauces. The Ketjep really stood out in our eyes.